Eventually, the koalas are forced to come out of the trees and drink from whatever water is left in the silted up rivers, creeks and billabongs. This water is full of organisms and pollutants that cause Chlamydia, and degardia – a deadly form of dysentery – and other diseases. Our koalas have no immunity to them and so they sicken and die. All of these pictures were taken within a few days of each other along the Mungallala Creek just after the first big drought-breaking rains. The same creek on Harry's property taken on the same day as the picture above. The water in this section of the creek is about 12 foot deep and teeming with fish. I agree with Matto....Sorry Mike but this paper is pure drivel !!! I read the article by Mike Holt and the comments by Matto and Duane. The article may not be well written as it tries to cover so many related topics and theories. Please do not disregard the waterhole evidence because of the article. Harry Chambers has returned the silted up waterholes on his Mungallala property to big, deep, permanent waterholes through his timber management program. His techniques and theories are controversial but they have worked on his property. There are long stretches of silted up waterholes in the creek before and after his property. There are deep waterholes from one end of his property to the other. His first deep waterhole starts on his boundary where the creek enters his property. I had trouble believing his timber treatment program could have such an immediate effect but it does. When Harry explained how he believes it works, I understood how it could have this immediate effect. I will not try to explain the theory here but I am happy to discuss the theory or try to provide more details on it if people are interested. The process does not just rely on removing trees from the watercourse but involves a holistic approach to timber management on the property. Harry has tried to return his property to pre-European timber levels. In doing so he is returning his waterholes to more like their pre-European condition and size. This is also controversial and requires a paradigm shift in thinking. 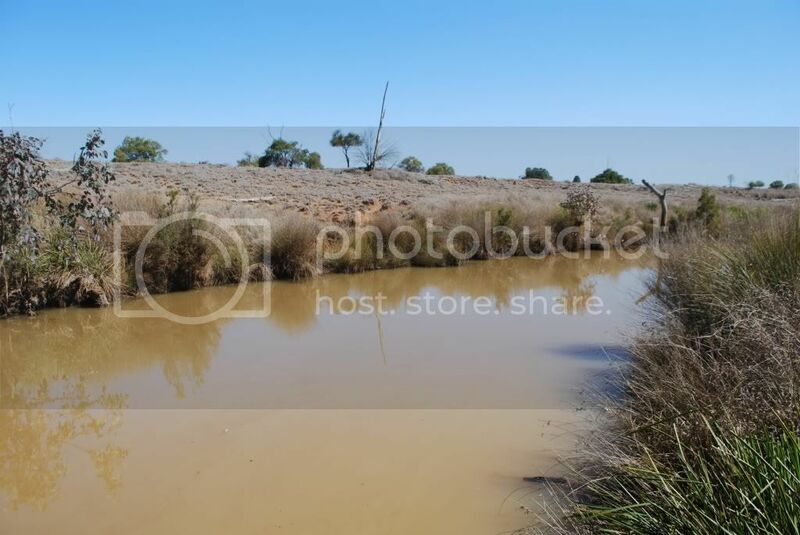 Many of these western Queensland creeks had large waterholes in the past and have only remnants of waterholes now. This process may work in many of these areas. We need to open our minds to the evidence and make this process possible on a larger scale. Only more evidence will demonstrate if there is real value in his findings over a wider area. I for one would like to hear more....alpha-numeric language is subject always to mis-interpretation both by the reader and the listener. This could be one to follow. I would like to hear more too. I agree with tree management, ESP of eucalypts, in the RIGHT places but just can't see how further eroding our waterways could be a positive thing as that piece suggests. If we think about how our country used to function many years ago, silt and trees falling in the creeks rock formations etc are surely trying to help heal our waterways and allow the flood waters to nourish our pastures and disperse the finer silts that would once have fertilized the floodplains rather than the need to use artificial fertilizers. There never used to be massively eroding channels ripping through our landscape and flooding was a massively important accurance that kept our country self sustainable. The statement that farmers best know how to manage the land is just so bad.. Farmers are bent over trying to make a dollar these days in our bastardized ag industry, and frankly the focus is on what inputs to spread over the land to get the best crop, or hold the most livestock and all the while the seed, feed and fertilizer companies take all the margins and leave the farmer with degrading land and looking ten years older! Don't get me wrong, I'm a beef breeder and I live in a hugely farmed region and I'm right behind every farmer, but how can a farmer be called a land rejuvenator with the industry as it is... We used all the natural fertility a hundred years ago, when farming was lucrative!... And it is with all those strong feelings, that we embarked on the journey, with NSF training and support as our mentor, to try to heal our piece of Australia lol. I really would like to hear more about this theory Ian, the more knowledge the better (especially on what happens when it floods). And thank you for putting your knowledge of this theory up for discussion. I am pleased to see some interest in this topic. What Harry Chambers has done on his Mungallala property works for him in that area. I think (and I hope) that his methods will work for many parts of that Maranoa to Warrego area and beyond. Unfortunately, people seem keen to dismiss a process if it may not work in all areas. To understand how and why this process works requires an open mind. Please understand that most of what is written as scientific evidence about remnant vegetation and the effects of clearing timber on erosion is not correct for this type of country. I am reluctant to try to explain everything here as many readers will not be willing to make the paradigm shift in thinking to consider this process. Please keep thinking that this process works in this area even if you struggle with the detail. Prior to European influences the country between the Maranoa and Warrego was not heavily timbered. Very few trees grew in this area and those few ancient trees are still present where clearing of young trees has not occurred. Fires kept the growth of trees to a minimum. This applies even to eucalypts which are reasonably fire tolerant. The fires were a constant part of the environment. The trees that were present were found in specific areas for specific reasons. After Kennedy passed through this area during a drought time in 1847 the area was referred to as “the desert between the Maranoa and the Warrego Rivers”. Hardly a description for the heavily timbered country we see in much of that area today. Also understand that in these areas, clearing trees in the paddocks and from creeks does not cause erosion. The country people in these areas understand the benefits of clearing the trees but many not associated with this country often believe otherwise. I tried to attach photographs from the Mungallala area to show you what actually happens in this type of country. Unfortunately this does not seem possible. Photos are great as they are so much more convincing than words. If I have not offended all readers I am happy to continue the explanation. I did assume a site like this would have some lateral thinkers who may consider the evidence. Please understand that Harry has one majestic waterhole after another with much clearer water than the shallow muddy holes and dry beds seen in other parts of the creek. What he has done has worked. Harry has cleared most of the trees from his property and has cleared most of the trees from the creek. Both the paddocks and the creeks need to be cleared for Harry’s theory to work. 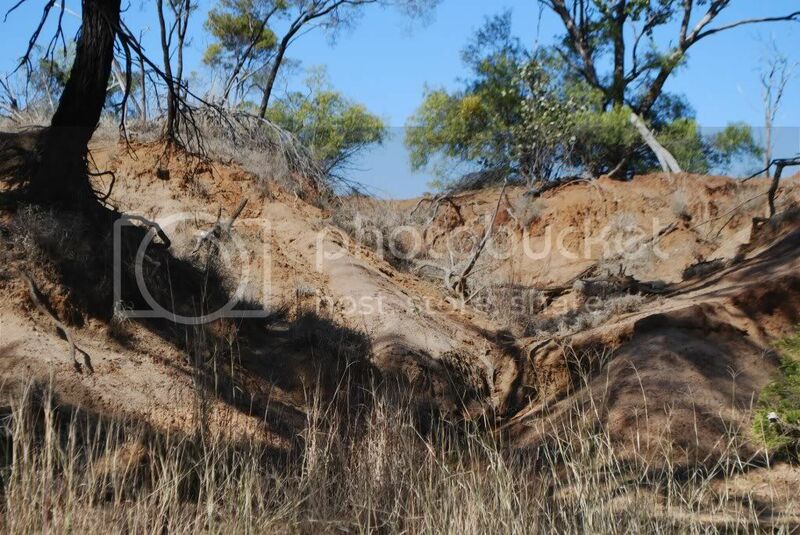 He now has deep, permanent, waterholes that were silted up before his timber treatment. The flooding is important to this theory and the fertility from the flooding is part of the original land process. I do not feel this is in opposition to the NFS ideas but actually complements it in many ways. My name is Lex and I am happy to continue with this theory if anyone is still interested. It would be better if I could work out how to attach photos. Google Photobucket. Upload your photos onto Photobucket. When you have done so copy the URL of your photos. Next click on the Img tag above and then click the URL tag, Right click on your mouse and hit paste. Your photos should now be displayed on the forum. Thanks for sharing, please keep going.. Ide like to hear and see more. The first 4 photos just show what is normal in this type of country when trees are left on the creeks. Please note this is the opposite of what everyone is told. Where Harry has removed the trees the erosion is greatly reduced. Tree clearing here does not lead to great erosion. These photos are not just of selected areas. This is representative of what happens. The healing process is continuing in these areas. Harry said the area in the photo above was more eroded than the first 4 photos before he removed the trees from this creek area. The main Mungallala creek is in the background. This area still has some repairing to do. This is a long process. The removal of trees leads to lots of protective ground cover. This is a good deep waterhole. The evidence of the value of removing the trees is overwhelming. It is hard to believe people who see this evidence cannot accept that the current ideas of clearing trees and getting erosion just does not apply to these areas. Hopefully the photos are of interest and I will continue with the theory of waterhole development on my next post. Thanks for posting those photos. So your saying essentially that the photos in pictures one and two are similar to what the areas in the latter photos looked like prior to the tree removal!? That is an amazing difference! To return the waterholes in this type of country to more like their pre-European size, the countryside needs to be also returned to more like its pre-European condition. This is not wanton destruction of the habitat but it is very different to all that is being promoted about timber control at present. The early explorers did not battle through constant thick scrub in exploring these areas and the early settlers relied on permanent waterholes that disappeared after settlement. Early accounts from these areas describe semi-open grassland country in most areas. The introduction of livestock has long been blamed for the silting of the waterholes. Certainly overgrazing to an extreme degree would not have helped but Harry has evidence that suggests that it is the massive increase in tree cover that had a much greater effect. Aboriginal fires kept the trees under control and killed most regrowth in most of the areas. A mosaic fire pattern throughout the year should have prevented the extreme fire events that could devastate large areas in hot, dry summers of the past. Much of our wildlife is not adapted to survive very severe fire events. Like many graziers in this, and other areas, Harry has cleared most of the timber from the paddocks. This does not lead to erosion or salinity increases in these areas. Clearing the trees reduces erosion particularly in the creek areas as shown in the photos of a previous post. Clearing the trees and scrubs leads to more grass growth in this rainfall limited environment. More grass holds the soil together, protects the soil, and protects and provides food for wildlife and domestic animals. The graziers benefit as they can run more animals on their country and have a more sustainable property. All these graziers do not spend the large amounts of money required to control the timber growth with the aim of ending up with an eroded property. They all know that the advice is wrong for most of these areas. They want grass for their cattle and clearing the trees provides this grass. It is the grass that protects the soil in these dryer areas. Harry went one step further. He removed the trees from the creek banks as well. This is now an illegal action but Harry has the evidence that maybe it should not be illegal. Maybe it should be promoted. 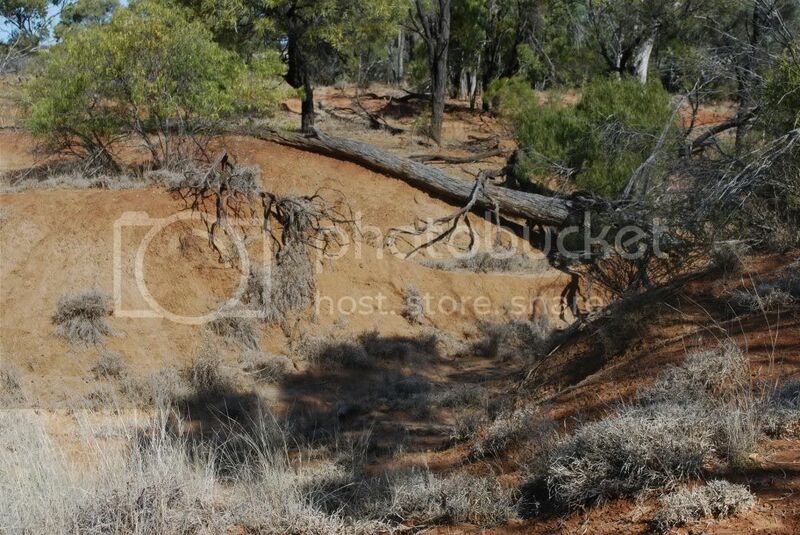 Twenty to thirty years after removing the trees from the creek bank he has hugely reduced creek erosion and has found that large waterholes have returned. Google maps is a great tool. I heard of Harry’s waterholes before I visited the property in August this year. I used google maps to find the property. It was not too hard to find as the paddocks had been cleared and there was very little timber along the Mungallala creek. Google maps for that area was, and still is, out of date with the images taken in the dry years. 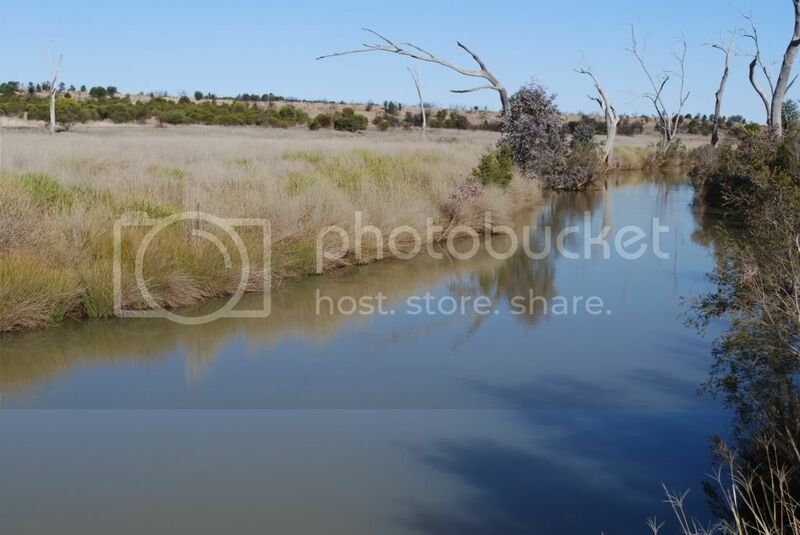 This only highlighted the fact that there was no other water in waterholes visible along the Mungallala creek. 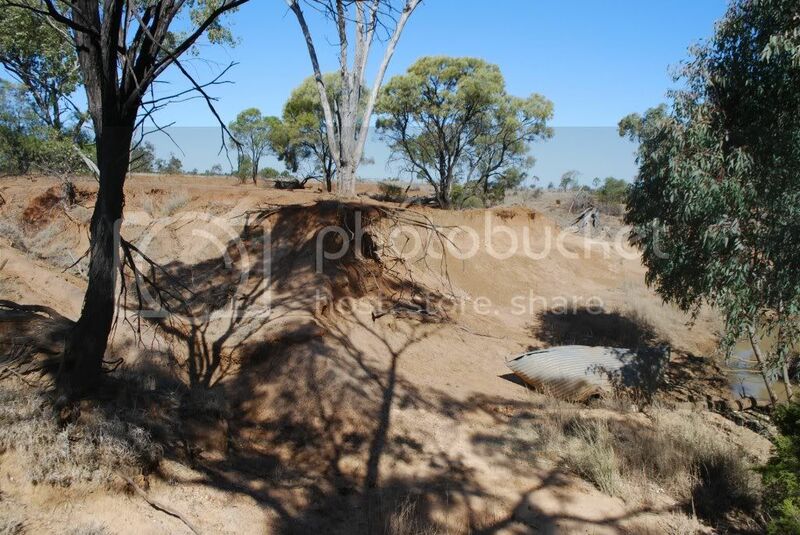 The waterholes on Harry’s place were reduced in size but were still permanent at the end of that recent dry time. Harry’s theory of waterhole development relies on removing most of the trees in the paddocks and most of the trees along the watercourses. In the timbered paddocks in these areas, the soil becomes quite hard between the trees. Removing or killing the trees allows more grass to grow. It is mainly this grass that slows the water flow across the paddocks. Slowing the water allows more water to enter the soil and the aquifers. Sometimes the action of ‘pulling’ the trees out of the ground also helps with preventing the water just running off the paddocks. 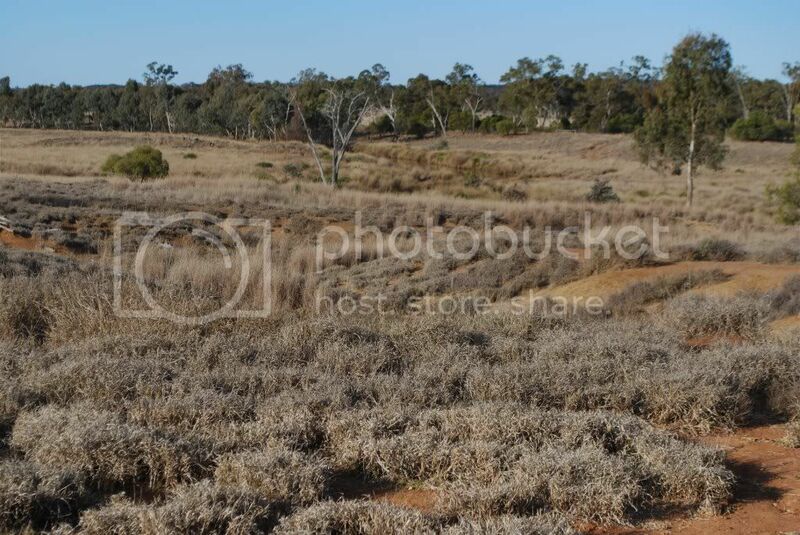 Large numbers of trees in the paddocks would utilise this water and greatly reduce the water flow in the aquifers. Harry’s waterhole theory (like the NSF theory) relies on an increased supply of water in the aquifers. The theory depends on a simple process. If water within the soil flows through a sandy substrate (as in an aquifer), it will loosen up the soil. If pressure is trying to pull or push water into a substrate, the substrate will pack hard. Eucalypts along the creek banks use lots of water. The action of the roots drawing water from the waterholes tends to pack the soil because of this pressure of the water flowing into the soil. Floods in the creek over this packed soil of the creek beds only deposit sand as the pressure is directed out of the waterhole. If most of the trees are removed from along creek bank then the flow of the aquifers into the waterholes will loosen the soil along the creek as the pressure is flowing into the creek. A flood of water along the creek at this time will easily carry away the loosened soil and sand and deepen and widen the waterhole. This is a very simplified version of the theory. There is much more to the theory that includes what happens in floods, how the ends of the waterholes develop and why the ends of the waterholes are not boggy. I hope I have done it justice in this simplified form. I am reluctant to post the theory as some people may feel it is not correct. Even if the theory needs modification, the facts remain. Harry has removed the trees from his paddocks and from the creek banks and large, beautiful, permanent waterholes have developed. The evidence is there. The return of the waterholes in this country is a delight to behold. To know the waterholes can be returned so simply is incredible. The benefits to wildlife are many and some are unexpected. One of the unexpected benefits is that there are very few carp in the waterholes. It seems as the mud and silt are removed, the carp cannot monopolise the waterholes. Native fish dominate. There are so many advantages. 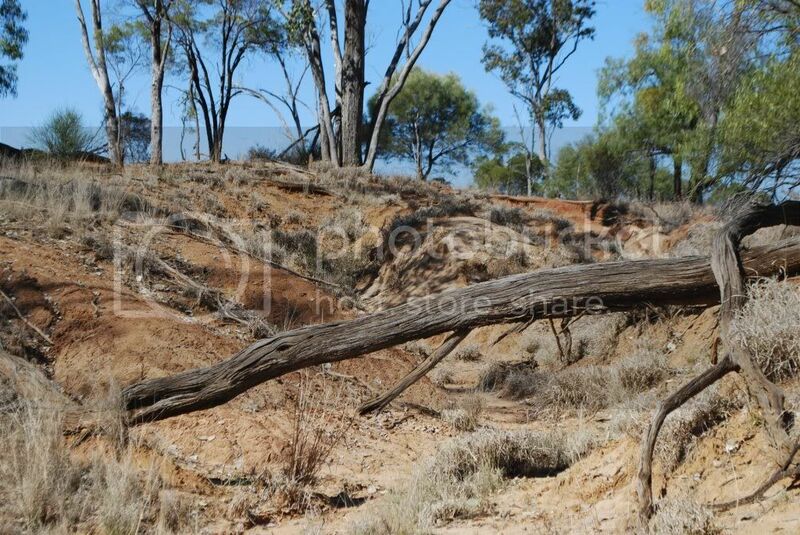 Unfortunately, clearing the timber in the paddocks has been difficult, clearing the creek beds is now illegal, waterhole development takes decades, and waterholes do not greatly increase productivity for the graziers. 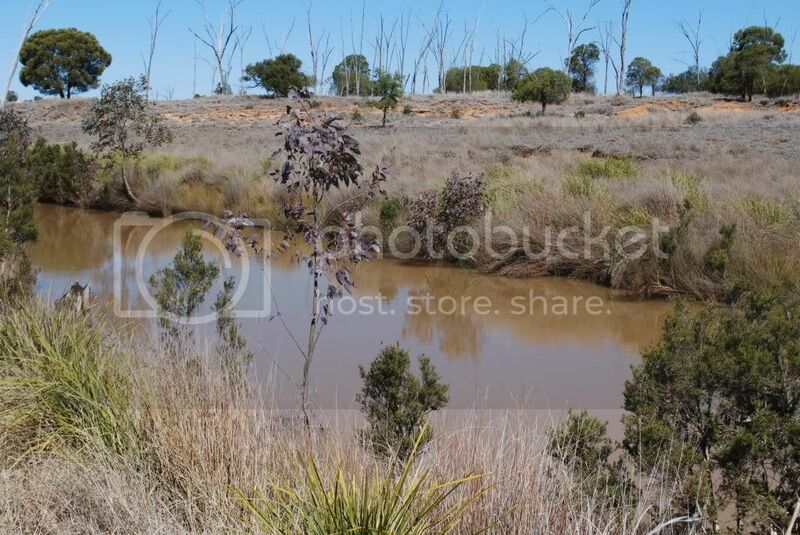 Bores etc can provide water for stock (and some wildlife) so why would the graziers risk prosecution to clear the banks and restore the waterholes? Research is needed and legislation needs to be changed. Please note that Harry has many other theories on why clearing most of the trees will benefit the wildlife. At first reading, I called it a load of drivel, or words to that effect. Now I would like to retract that statement and say I was wrong to make that public statement. This story has much to warrant attention especially the planting and removal of Eucalyptus spp., near waterways. Landcare have embraced riparian plantings of gums whilst Aboriginal people knew that they had a negative impact on stream health. Lex....It's good that you have followed up on Mike's original post and clarified a number of points. I will be watching this post with great interest. This is an interesting development to the thread. Thanks for the persistence and clarifications. Its hard for me to imagine how Australia out west, but Im sure there would have been many pockets of diverse environments. Here in the photos, I can see that the trees hampered the development of grasses underneath and along the banks, and without this coverage you can see that water has become erosive. To the point the soils even look sodic. Peter says that grasses do the best job in dispersing overflowing water so that it doesn't concentrate and become erosive. This might have lead to a feedback loop that while the banks became more eroded, water became increasingly concentrated in the incised channels, and water tables dropped. Without the chance for it to irrigate the floodplain, trees managed to tap into the aquifer while grasses struggled to compete in the arid environment. I worked with a farmer out Mundubbera who was complaining that he couldn't chop down trees, even though his early settling family had described the land as being much less wooded. He believed it was because the animals targetted the grasses, allowing the trees to take over. Now its legislated that he cannot remove the trees without planning permission, but it isn't a natural environment now but one induced by mans management of the land.